James Clark is an audio engineer in Brooklyn, NY specializing in live event production. He can typically be found working on the design and operation of various size sound systems: from live music to panelist discussions, DJ sets, film screenings, corporate presentations, galas, and weddings. Clark currently works on events for institutions including Pioneer Works, Roulette Intermedium, the New York Public Library, and the Cultural Services of the French Embassy, among others in the New York Area. 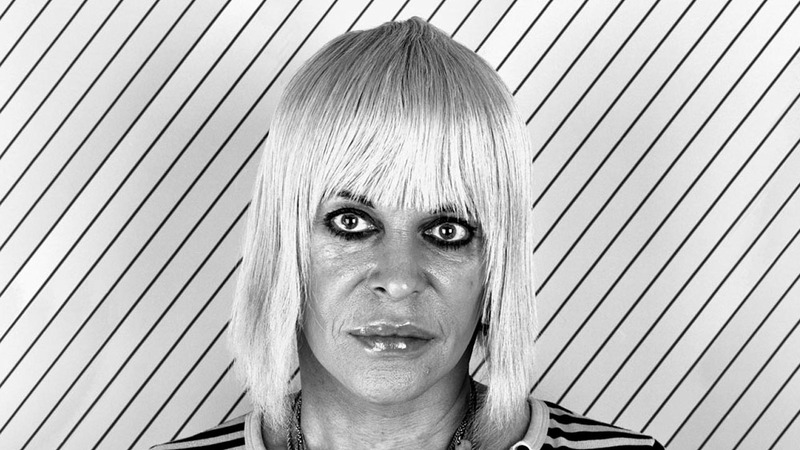 The singer, songwriter, poet, and visionary Genesis Breyer P-Orridge (Throbbing Gristle) and Edley ODowd, her collaborator, drummer, designer, and director discuss the reincarnation of the psychedelic band Psychic TV and reveal the passion, precision, and philosophy behind it. Plus songs from the live show, recording engineered by James Clark. Jake Nussbaum hosts. The three discuss restarting the band after a hiatus, the album Snakes (the 2014 album created after Genesis P-Orridge's trip to Benin focusing the voodoo culture), process, poetry, practicalities, and the moral relevance of creative invention. Opening March 11, 2016 at the Rubin Museum in NYC, “Try to Altar Everything”, Genesis Breyer P-Orridge explores the role of devotion, ritual, Hindu mythology, and gender identity in the artist’s practice. Anyone interested in Genesis will be thrilled to hear her Clocktower Radio interview from 2007 where she candidly (as always) discusses her early history, Throbbing Gristle, and Pigface, among others, and reveals many resonant truths (as always).